We can now deliver broadband in these gaps over several kilometres, and the signal can travel over hills and challenging terrain, through Buildings and trees with ease. Whitespace is perfect for lots of uses, such as providing broadband connectivity to rural communities, delivering wireless connectivity across campuses, and connecting IoT devices in urban areas. To connect the most remotes areas, we need collaboration with the local community, to install our equipment. We've a dedicated Ex- Plusnet team providing management and support for anyone pioneering co-funded approach to bring broadband to their community. We are looking for communities to secure the funding they need to get reliable broadband in their area, so we've established a crowdfunding option to encourage communities to raise the capital necessary to kick start our installations. This will provide a community Whitespace mast that will fill the broadband not spot and deliver the broadband they deserve. 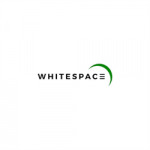 Project Delivery Manager: Whitespace The Project Delivery Manager takes legal responsibility for receiving and spending the funds raised and ensuring the project is delivered.